It's Sunday again and this past week I've been collecting silhouettes with a baby theme. I thought I'd put together a Baby Shower Gift Guide with a silhoutte theme. I think I've found some lovely handmade creations to share with you. I "almost" wish we were decorating a nursery again, so I could do a little shopping myself. First off I adore these pillows. 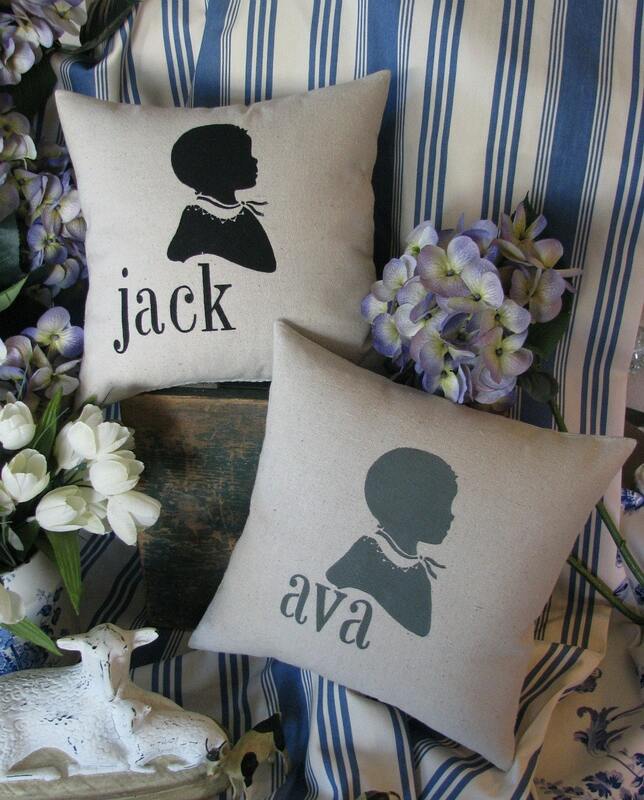 They would make a great shower gift to use to decorate the nursery. Heidi can customize it by adding the babies name to the pillow too. I can picture this sitting in the rocking chair in the corner of the room. So sweet. You could find out more about them at Heidi Devlin Home on Etsy. Know someone expecting a boy? The moustache is one of the current popular. What little man's wardrobe would be complete without a moustache. 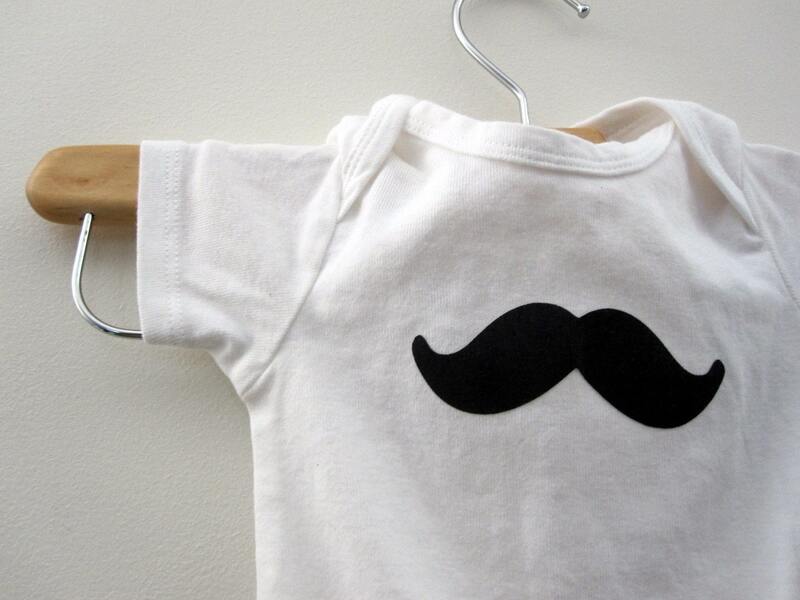 This little onesie and moustache silhouette would make a great shower gift for the trendy mom. Stop by RaeGun on Etsy and check out their line of moustache onesies as well as other baby goodies. I found two great silhouette style artwork for the nursery. I couldn't decide which one to share, so I'll just show you both. This first one features a very clean woodland scene. 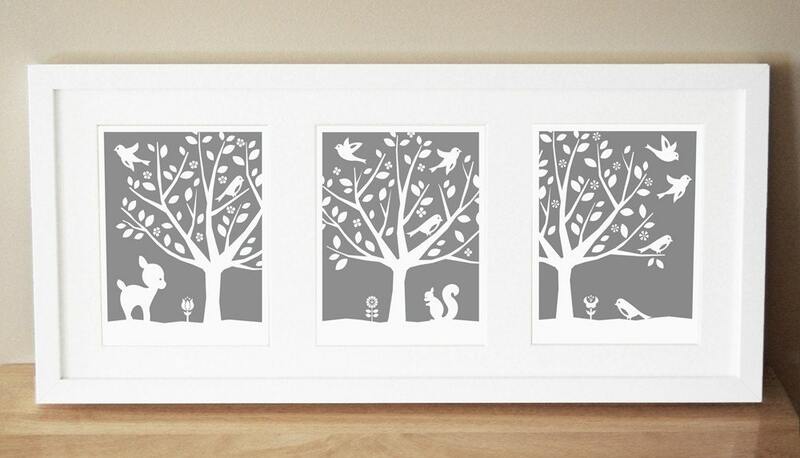 It would make a fabulous focal point of a nursery wall. 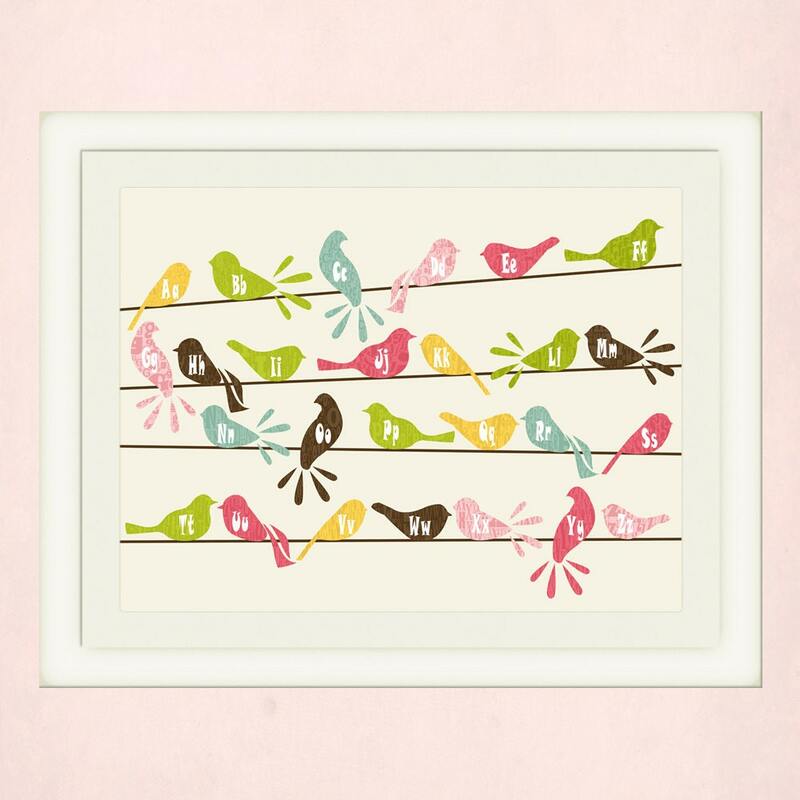 SugarFresh offers this design in a couple different colors to fit with you nursery design. This second one is a row of birds on a line. They come in a variety of colors as well. I love how Pitter Patter Press incorporated the alphabet into each of the birds. It turned out so cute and colorful. Lastly to finish off your baby shower shopping you will need a card to go with the gift. 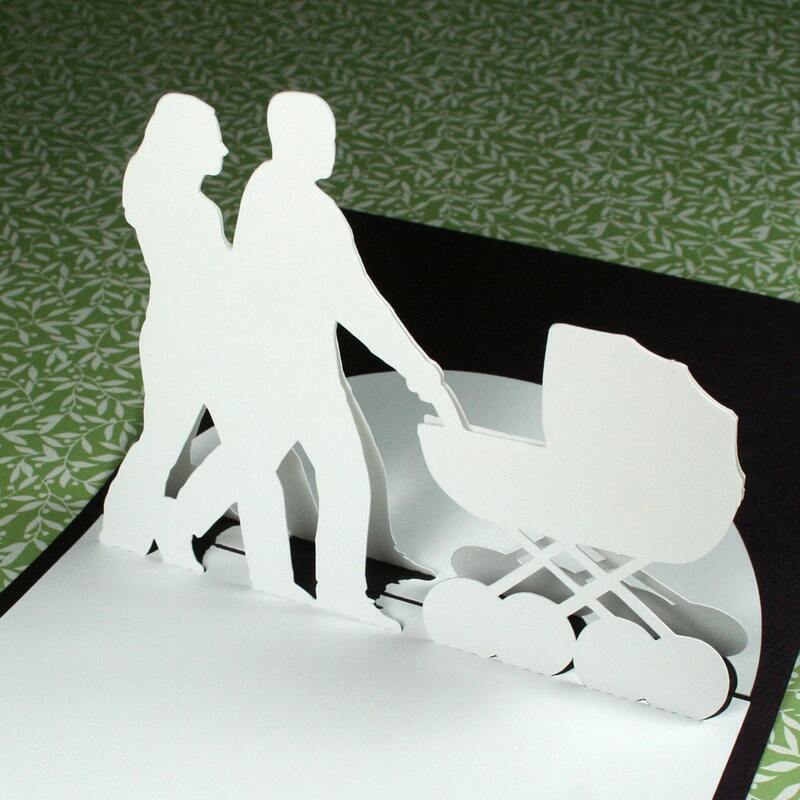 A fellow designer on the EtsyGreetings team, MollyLee shared this popup silhouette card with me the other day. Such a simple and clean design with a witty message. It would be perfect for a boy or girl.